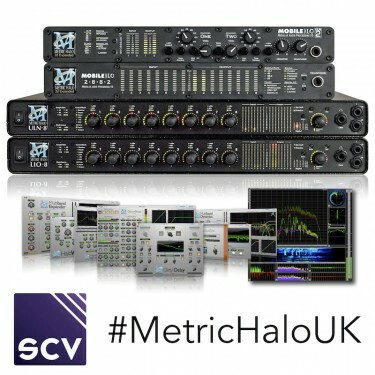 HODDESDON, UNITED KINGDOM: SCV Distribution, distributors of premium audio technology to professionals and enthusiasts throughout the United Kingdom and Ireland, have recently added NEW Metric Halo dealers to their roster in the UK. Please contact your local Authorized Metric Halo Reseller below to learn more about Metric Halo mic-preamps, converters, interfaces, plug-ins, SpectraFoo, product availability, pricing and more! Your favorite dealer isn't on the list? Invite them to join Metric Halo's growing global reseller network today. Please contact Metric Halo or your local Metric Halo Authorized Reseller to learn more about Metric Halo's complete legendary product line.